Still, our high school students were up for the challenge. Big time! 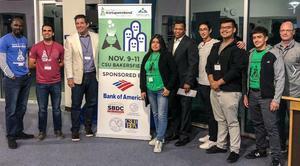 ROC students, for the first time ever, were members the winning team in the Bakersfield Startup Weekend competition. And it gets even better. Our students were also part of the second and third place teams as well. 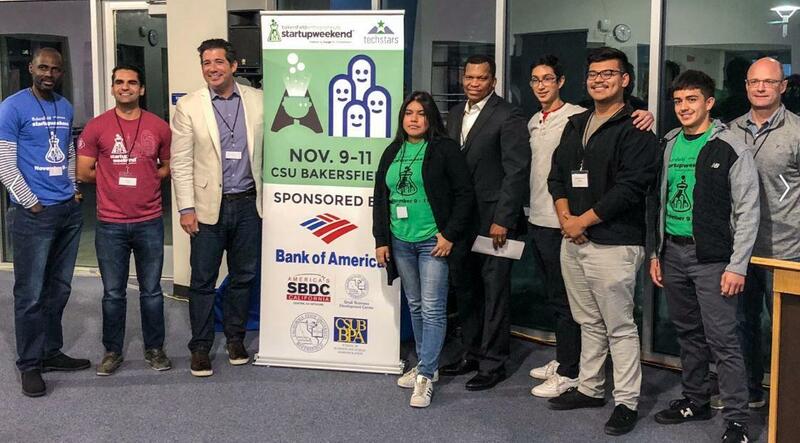 Techstar’s Startup Weekend first came to Bakersfield in 2017. The third local incarnation of this international event was held in November 2018 on the campus of CSU Bakersfield. Local entrepreneurs and entrepreneurial-minded people from all walks of life were invited to spend 54-hours – Friday night through Sunday night – to pitch their business idea, form teams with before unknown team members, and vet and validate their business idea in preparation for a final presentation to judges at the close of the weekend. For the proactive, business-minded students of ROC this was a challenge that was gladly accepted. Students from Mobile Apps, Small Business Entrepreneurship, Robotics, and Sports Medicine – 14 in total – entered the competition. These young teenagers teamed up with and competed against businesspeople two and three times older than themselves. Through the course of the weekend students learned about developing business models including finance and marketing, conducting SWOT analysis, Lean Startup Canvases, surveying and interviewing customers and industry leaders, determining break-even point, and, importantly, developing a prototype of their good or service (oftentimes a working website or mobile app). 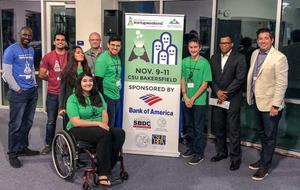 ROC wishes to thank the local Startup Weekend organizers as well as CSU Bakersfield and Bank of America for sponsoring the event.